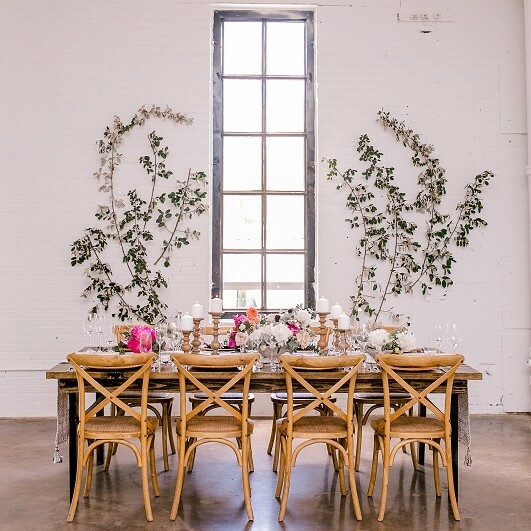 The Space HTX is located in the Heart of EADO – “The Art & Soul of the City” and is Houston’s new urban & chic venue for hosting fabulous weddings, corporate events, concerts and parties. The Space HTX is a 5000-sq. ft. white on white industrial warehouse, which offers a fusion of raw material & contemporary design that can be easily transformed for any event. The urban warehouse is the perfect blank canvas to experience and showcase EADO’s vibrant neighborhood with its rich history, thriving businesses & entertainment, and offers you and your guests an unparalleled view of the downtown skyline.